#SocialGreatLakes: Communicating Great Lakes Science through Social Media was a special session at the 60th annual meeting of the International Association for Great Lakes Research held in Detroit, Michigan, from May 15-19, 2017. During #SocialGreatLakes, eleven speakers from a wide range of backgrounds and disciplines shared their experiences using social media in new and innovative ways to communicate science (#scicomm) to diverse audiences. #SocialGreatLakes is only the beginning of a dialogue happening among Great Lakes researchers on how to effectively use social media to communicate issues and work occurring around the basin. There are plenty of issues to address and much work to be done – the health of the Great Lakes is increasingly faced with threats such as invasive species, harmful algae blooms, and climate change. Further, proposed budget cuts would cripple key Great Lakes research funding, such as the Great Lakes Restoration Initiative (GLRI) and NOAA Sea Grant programs. Now more than ever, it is critical that scientists communicate how and why funding is being used to help keep the Great Lakes, well, Great. Co-organizers of #SocialGreatLakes have put together highlights from the session’s speakers, including video links to the full conference presentations (thanks to Nicole Wood & SciCommMonday). 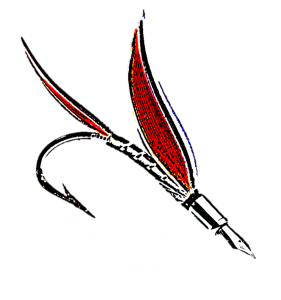 A synopsis can also be found on Storify, and check out #SocialFish for an account of last year’s scicomm and fisheries symposium, co-organized by The Fisheries Blog. A small sampling of the proud new owners and their #MORails #MOScience t-shirts that Dr. Auriel Fournier was able to sell during her dissertation research, showcasing the popularity of her research’s hashtag. Like a fishy advent calendar, #25DaysofFishmas taught Twitter about a different Great Lakes fish species each day during December. From Message to Method: What Data Does Your #SciComm Need? Periscope screen shot of a live broadcast with University of Toledo’s Ph.D. candidate Jessica Sherman-Collier (r) and her field assistant, graduate student Sara Guiher (l), showcasing sturgeon and mussel fieldwork in the Maumee River outside of Toledo, OH. The interactive chat model is displayed with incoming comments and questions from the live stream audience. While the issues that face the Great Lakes are numerous, many individuals and organizations are doing amazing work throughout the region. Social media provides not only a platform for their stories to be told, but also serves as a tool to connect and collaborate across institutions and disciplines. Some of the #SocialGreatLakes speakers! Left to right: Solomon David, Allison Voglesong, Titus Seilheimer, Jordan Rutter, Katie O’Reilly, Auriel Fournier, and Nicole Wood. Katherine (Katie) O’Reilly is a Ph.D. student at the University of Notre Dame studying ecosystem linkages in Great Lakes coastal wetlands. A native of the Great Lakes region, she returned to studying freshwater ecosystems after earning a B.S. in Marine Science and Biology from the University of Miami (FL). Nicole Wood’s thesis work at Central Michigan University focuses on the impacts the invasive mute swan has on the coastal wetland ecosystems of the Great Lakes. When she’s not in waders, Nicole can be seen on her weekly live stream broadcast, Scicomm Monday, which brings in scientists and scicommers from all over the world to showcase their work and to facilitate discussions on multiple science topics with an actively engaged worldwide audience.